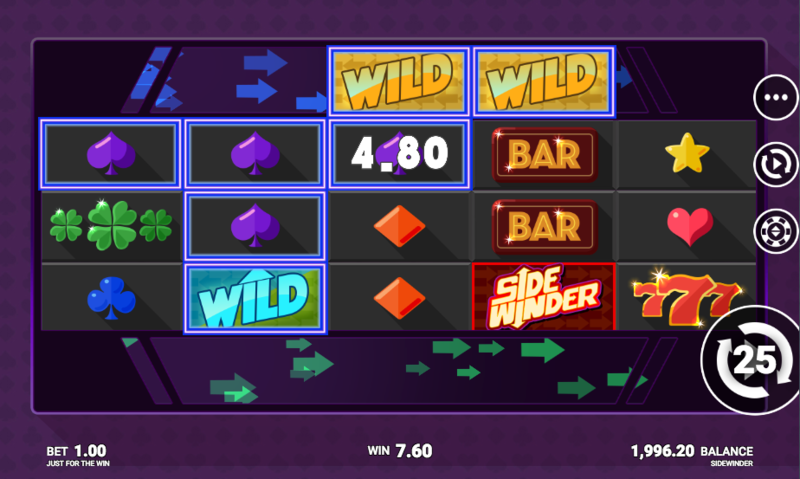 If you’re looking for something a little different in your online slots gameplay today then why not check out this quirky number from Just For The Win; it’s called Side Winder and that word is a description of what’s happening on the reels – find out how it works right here. Side Winder is a five reel slot with three rows and two hundred and forty three ways to win which means that there’s no payline structure – wins can be formed as long as there are matching symbols on adjacent reels starting from the left hand side. Note the areas above and below the symbols – this is the Side Winder and we’ll explain it in more detail shortly. The high value symbols are traditional and include red sevens, bells, silver horseshoes, four leaf clovers and a bar; lower values are represented by playing card symbols of various colours along with a star. There are three types of wilds – Regular, Top and Bottom – and they’ll all replace other symbols to help form winning matches except for the Side Winder scatter. The Top Wild appears on reel two and the bottom horizontal area and the Bottom Wild appears on reel four and the top horizontal area; regular wilds only appear on the top and bottom areas. When the Top Wild lands the top area also activates and when the Bottom Wild lands the lower area activates – this increases the paylines to 1125. The activates Side Winder area contains more wild symbols to increase the potential for wins. Two scatters on reels two and four – both horizontal reels will spin once. Three scatters – six free spins. Four Scatters – ten free spins. Both horizontal reels are active during the spins (as you can see from the video above) and if two regular wilds stop above/below each other, all positions in-between become wild. Any more scatter symbols landing will award an extra spin. Side Winder is an intriguing, enjoyable slot and you may already have experienced this gameplay in Just For The Win’s Rainbrew game. 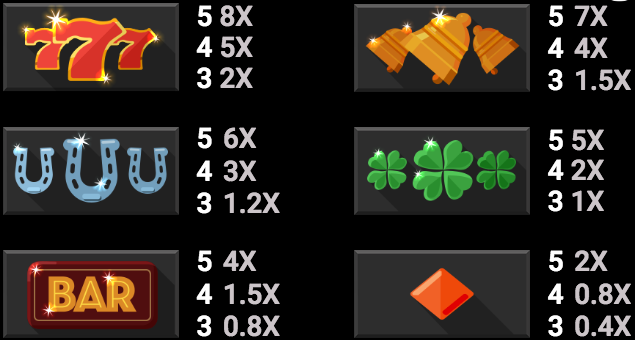 The wild features trigger regularly and it doesn’t seem too tricky to grab some free spins either. There’s an RTP of 96.02%.